How Far is Ashiana Shubham? Ashiana Shubham is Exclusively built for Senior living in Maraimalai Nagar, GST. 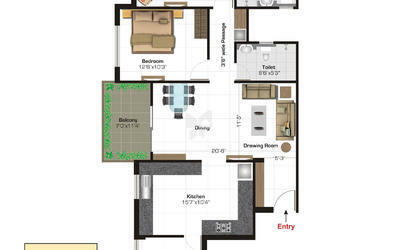 which is developed by Ashiana Housing Ltd. Looking at the typical needs of the seniors, Ashiana Shubham is strategically located in Maraimalai Nagar. An hour’s drive from the Airport, on NH 45, It is Spacious far from the hustle-bustle of Crowd at a Calm Place in Chennai. This Project Provides 2BHK and 3BHK senior citizen friendly flats for sale in Maraimalai Nagar at the capital of Tamilnadu, Chennai. 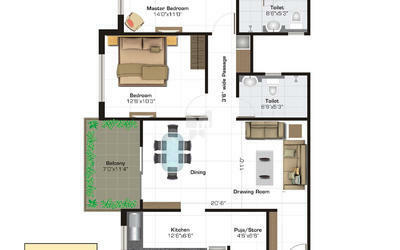 2BHK flats of 1156- 1298 Sq ft and 3BHK flats of 1400 Sq ft- 1534 Sq ft. Being located at Maraimalai Nagar This Senior living age-friendly homes has easy access to Hospitals, Market, IT Hubs and best connectivity with other parts of the city through the public and private mode of transportation. Asiana Shubham, Senior living homes are guarded 24x7 by security staff. CCTV cameras are installed at vantage points for round-the-clock, Emergency response systems (ERS) are enabled in the individual apartments, activities and amenities to lead this active life. This Project Provides amenities like Temple, Departmental Stores, Saloon, Tennis Court, Maintenance Services, 24X7 Ambulance and Nurse, Housekeeping Services and more to have a lifestyle that is active, healthy, carefree, dignified and independent living which will mitigate the impact of aging. Drawing/Dining/Bedrooms : Skid resistant ceramic matt finish tiles (2’ x 2’). Fittings: A wash basin with black granite counter or counter style wash basin, towel rail, provision for hot & cold water supply and provision for ceiling fan, vitreous white sanitary ware of standard make and health faucet. Grab rails only in master toilet. Single lever CP fitting of standard make. Fitting & fixture: Provision for hot & cold water line. Aluminium power coated or UPVC with 4mm & 5mm thick float glass based on size of opening. Other door:35 mm thick skin door/flush door with folded metal door frame painted in pleasing shades of enamel. Handles: Lever type handles with mortice lock. Wiring: All electrical wiring in concealed conduits with FR grade of standard make copper wires. Convenient provision and distribution of light and power plugs. Provision for electrical chimney above platform and water purifier point in the kitchen. Provision for fan in toilets. 750 watts in each apartment. Ashina Housing Ltd was founded byOm Gupta, established in Patna as the first organized professional developer in the year 1979 and Incorporation of Ashiana Housing & Finance (India) Limited was in 1986, This was Started when India was Looking for good quality housing that was hard to find in its budget range, at that point of time it was a Game Changer.Ashiana Housing gave the middle-class homeowner features that were seen only in high budget homes,top-quality construction, manicured lawns, expanse of greenery, children’s play areas, swimming pools, clubs, and a full roster of maintenance services. In 1992Shifted the head office to Delhi. Started operations in Bhiwadi (Delhi-NCR). Ashina Housing Ltd is walking on a unique path, it started the retirement home movement in India where seniors could lead safe, active, enjoyable and comfortable lives. Here was a company that focused on needs over trends, quality rather than quantity, and people instead of profit margins. They Had built kid-centric Home, comfort homes and senior living age-friendly homes at an affordable price. 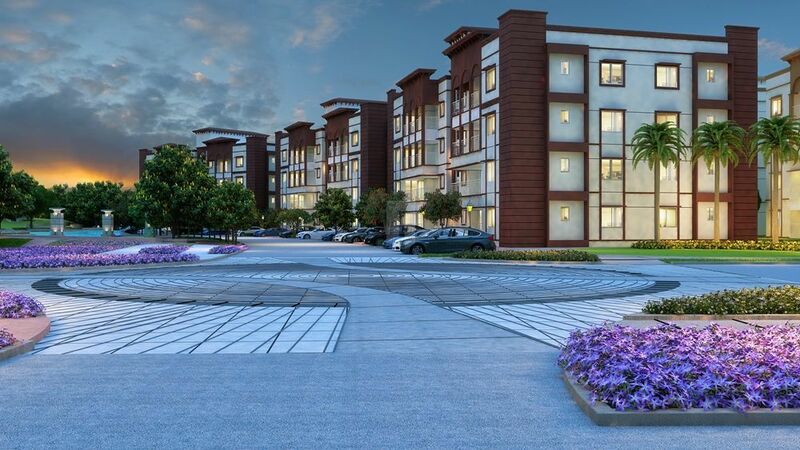 In 2015 Ashina Housing Ltd Won the Best Budget Apartment Project of the Year by NDTV PROFIT.